Unelma Platforms launches UnelmaMovie.com, a movie and TV series platform based on artificial intelligence which allows users to search for a movie or television series automatically. The movies and series are automated daily using UnelmaMovie proprietary algorithm. UnelmaMovie has about 50,000 titles on the platform currently, and it is doubling on its own. As a platform, UnelmaMovie.com allows the best content or the best movie shown on the top of the platform. UnelmaMovie as a platform also enables the streaming services where users can add movie or tv series content if they wish to do so. It is our pleasure to announce that our publishing platform, Kuora.co has crossed over 200+ users worldwide. The growth of our Kuora.co users is not surprising to us since our latest version update to the Kuora.co platform, actually it was expected. The recent version update has fixed several bugs which have resulted in users loving the platform more than ever before. Now it is easy to chat with another user on the platform, Kuora.co. No such platform has such feature yet. But rather than any fancy feature, we listen to our users and develop based on their feedback and requests. If you are new to Kuora.co platform or you have never used it before, please feel free to ask questions as much as you want. Of course, you will find some knowledgeable people with empowering mind on this planet who is open to provide you with a better response in the shortest time possible. Thank you to our beloved users who reported about the issues earlier. We are all ears again! We are feeling proud to announce that today our fScraper.com - friendly scraper platform has crossed over 400+ customers worldwide. Most of the fScraper customers come from all around the world. We can see that there are more than one thousand active visitors coming at our fScraper platform whereby people are searching for the data daily. The data is new oil paradigm is gaining a lot of momentum and those data that are hidden inside the walls of giant social media company can now be used to get more insights. Scraping itself is not a bad thing although it has caught the bad reputation among the general public. For those who don't know about fScraper.com - fScraperis a smart web scraping and data extraction platform that extracts and generates data from Facebook pages, group, location, event, and searches. 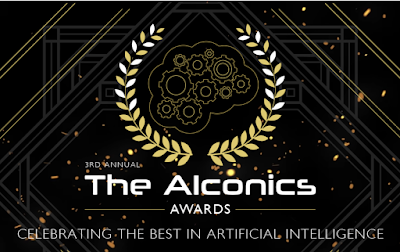 Just last week we got a private correspondence for our nomination in AIconics Awards at Kensigton Palace, London. We are pleased to receive such nomination which is prestigious in the AI community. There will be AI (artificial intelligence summit at London Tech Week in partnership with CNN). This year’s 2018 Judges have just been announced, with the CDO of BNP Paribas, Head of AI at Sapient Razorfish, CIO of TGI Friday’s, Chief Architect of Wells Fargo and Digital Lead of Willis Towers Watson among the great judging line up who will review the applications. There are renowned winners which include likes of PwC, Ipsoft, x.ai, Ayasdi and HCL to name a few. So please check the AI conference here: AIconics which is run by AIbusiness (Artificial Intelligence in Business). Unelma platforms is pleased to announce today that e-Sathi.com, a social networking platform made in Asia for the people of the developing world has crossed over 500 users within five minutes of its launch. e-Sathi.com growth shows that it might just be the fastest user growth any social networking platform had in the recent Internet history. e-Sathi is a Nepal's #1 social networking platform. Creating an account or log into the e-Sathi app is very simple. e-Sathi app not only enables users to connect with friends, family and other people but allows to share ideas and sell goods through forums and e-Sathi market. Sharing photos and videos, sending messages and get updates about friends and family can be at ease with the eSathi app. We are glad to inform our HaveWebsite customers and users that we have updated HaveWebsite- most powerful and easy to use website building platform with significant changes. We were just running our beta version of 1.0 earlier at HaveWebsite, however now we have upgraded from version 1.0 to version 2.0. Our version 2.0 of HaveWebsite looks slick in design and have a thinner footprint. We thank our early adopters who used our most powerful and easy to use website building platform: HaveWebsite whereby giving up feedback and comments. We thank you for also reporting the bugs. As per our bug bounty program, we have given rewards to those users and developers who gave initial feedback. Thank you all for that. We are happy to inform that our cloud storage platform, UnelmaCloud.com has been updated with some enhancement and changes. We are working on some significant update to the UnelmaClould.com ... but there were minor bugs that needed to be fixed as soon as possible. We thank our users who reported these bugs. Without your help and feedback, we cannot move forward. As the compatibility with the server has recently increased, we have now improved the API inside the UnelmaCloud. The rendering of video and audio can be done within the browser itself soon as the native capability of browser player has advanced these days. We also fixed an issue where in some server the user's account password was not changing correctly. Mainly thanks to those users who reported it a few weeks back. If you haven't tried Unelma Cloud yet, we will be happy to receive your suggestion for our significant release later during the year.